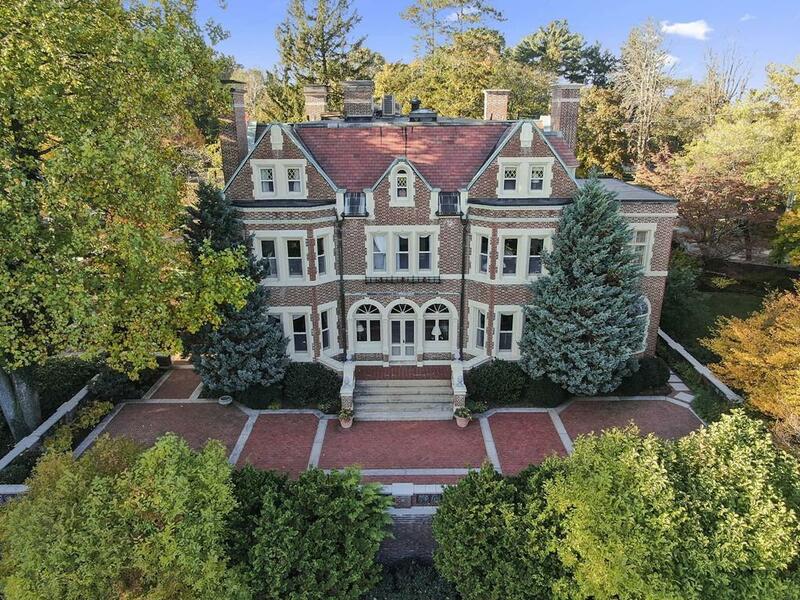 Built 1893 by Shepley, Rutan & Coolidge Architects, 80 Seaver St is one of the most stately homes on Fisher Hill. The Jacobethian style house sits on 1.5 acres of lovingly restored grounds with much thought given to merging the gardens and terrace with the home in a seamless way for the the lifestyle of todayâs family and entertainment. This home is a sophisticated blend of its rich history and tasteful modern updates. The main home consists of three levels of living with a formal receiving foyer, living room and dining room, eat-in kitchen, butlerâs pantry, wood paneled library, solarium and fireplaces throughout. The upper floors house five bedrooms, six and a half baths and three bonus rooms. Lower level is unfinished and ready for expansion or use as overflow. A fully refurbished two bed, two bath carriage house with renovated kitchen and extra basement storage sits astride the main home and connects to the 6+ car garage. The Porte Cochere was recently restored by Payne Bouchier.